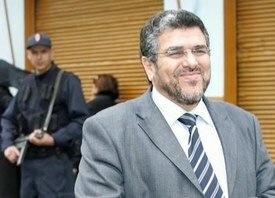 Radio Aswat reports that, during an interpellation in the House of Representatives on "the phenomenon of overcrowding in prisons in Morocco", the Minister of Justice and Liberties said the problem is mainly due to the relative increase in crime and the absence of a modern penal code offering other alternatives to detention and punishment. Mustapha Ramid also raised the issue of the discretion of the parties with the power to order detention, the Prosecutor General and Judges, knowing that such a decision is, in most cases, "inappropriate" . There is also the failure to use alternatives such as bail, and delays in issuing judgments increases the number of pretrial detainees. The problem requires legislative change as well as funding, said the minister, and the issue of criminal policy, particularly with regard to preventive detention, is on the agenda at two seminars planned in on the overall and detailed reform of justice. Several suggestions will be considered for integration into the criminal justice system, including alternative sentencing (such as community service), the system of day-fine, to pay a sum for each day of incarceration, partially suspending sentences of imprisonment for a term not exceeding 10 years, and the automatic reduction of sentence, the Minister said.